﻿ Edison Birthplace Museum - Ohio. Find It Here. The Edison Birthplace Museum was opened to the public by Thomas Edison's daughter Madeleine in 1947. Thomas Edison was born in this red brick cottage on the banks of the Milan Canal Basin on February 11, 1847. The home is run by the Edison Birthplace Association, Inc. and is the only Edison site that has Edison family on the Board. Tours go through the seven rooms in the Birthplace home as well as the Welcome Center where tickets are purchased. The rooms are furnished with period family pieces, inventions, photographs and other objects through which guests are told of Edison, his family, and the impact of the great inventor and his ideas on the world. 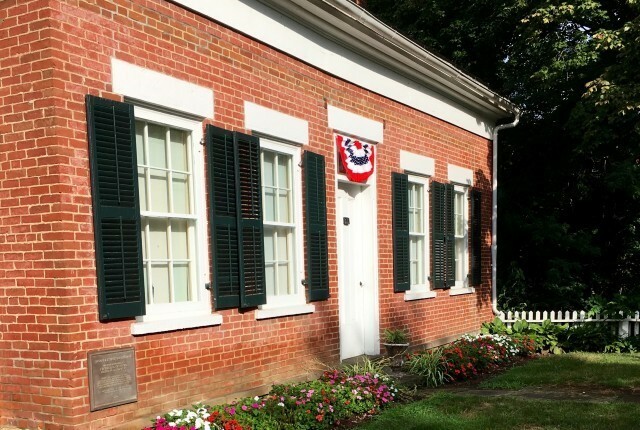 The Birthplace is open at different times throughout the year and by appointment (closed in January). The last tour always leaves the office 45 minutes before closing.